Each year, almost 50,000 Americans are injured in bicycle accidents. With approximately 20% of adults riding bicycles for commuting or leisure purposes, the risk of accidents has increased drastically when a bicyclist must share the road with cars, trucks, and motorcycles. While Citrus Heights has recently begun implementing expanded biking lanes and signs, bicycle accidents are on the rise. California is in among the top 10 states in terms of the number of fatally injured bicycle riders every year. If you were injured in a bicycle accident in Citrus Heights, you may be able to seek compensation from the driver who caused the accident. I have served Citrus Heights families for the past 33 years and have a deep and thorough understanding of civil liability and Sacramento County courts. I provide free, no obligation consultations to bicycle injury victims. If you wish to discuss your bicycle accident with an experienced Citrus Heights bike accident lawyer, I invite you to call me at 916.921.6400. Bicycling is a favorite pastime of children and adults alike in Citrus Heights. However, with many bicyclists sharing the road with motor vehicles, it is also a potentially dangerous activity. 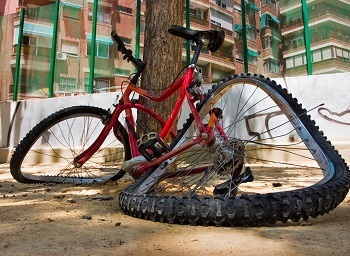 Most bicycle accidents are caused by negligent drivers, road defects, and bike defects. Negligent drivers might fail to obey traffic laws, such as yielding to bicyclists when turning right, or they might cause a bicycle accident simply by being careless or inattentive. Bicyclists are especially susceptible to injuries during accidents because they are almost completely unprotected. In addition, roadway design defects also may cause bicycle accidents in Citrus Heights. Citrus Heights and Sacramento County share the responsibility of designing, building, and maintaining all public roadways. This legal duty includes constructing bike lanes that meet code, filling in potholes, installing proper signs, and clearing roadways for cyclists. When the local government fails to fulfill its duties, the public entity may be liable for resulting bicycle accidents. These tragic incidents are foreseeable and preventable. Finally, bicycle accidents are occasionally caused by manufacturing defects. A bicycle manufacturer churns out an extremely high volume of bicycles each year. Often times, something goes wrong. It is the manufacturer’s responsibility to build a bike that is fit for use. If a part is missing or the bike malfunctions due to manufacturer negligence, an ensuing accident may be the responsibility of companies that designed, manufactured, assembled, and/or marketed the bicycle or its component parts. Aside from helmets, bicyclists have little to no protection during bicycle accidents, especially those caused by other vehicles. Many bicyclists are thrown from their bicycles, while others are struck head-on by cars. I’m Ed Smith, an Citrus Heights bicycle accident attorney with the most informative California accident website – www.autoaccident.com. If you or someone you love has been injured due to the negligence of another, please call me at 916.921.6400 for free, friendly advice.